If you read my recent post about Haven Conference, you know that I brought a ton of goodies home with me. I have been trying to figure out how to put everything to good use. My Cricut Air came with a pack of tools that I needed storage for. The little, square crate I got from Crates & Pallet was the perfect size! 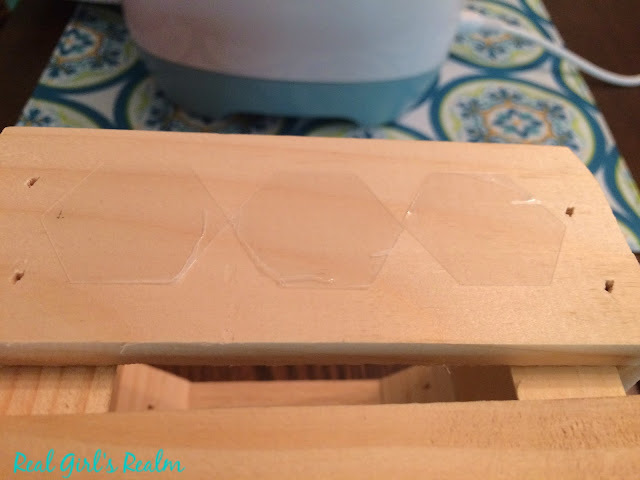 I placed the vinyl diamond shapes on the crate and then applied two coats of paint, letting it dry in between. 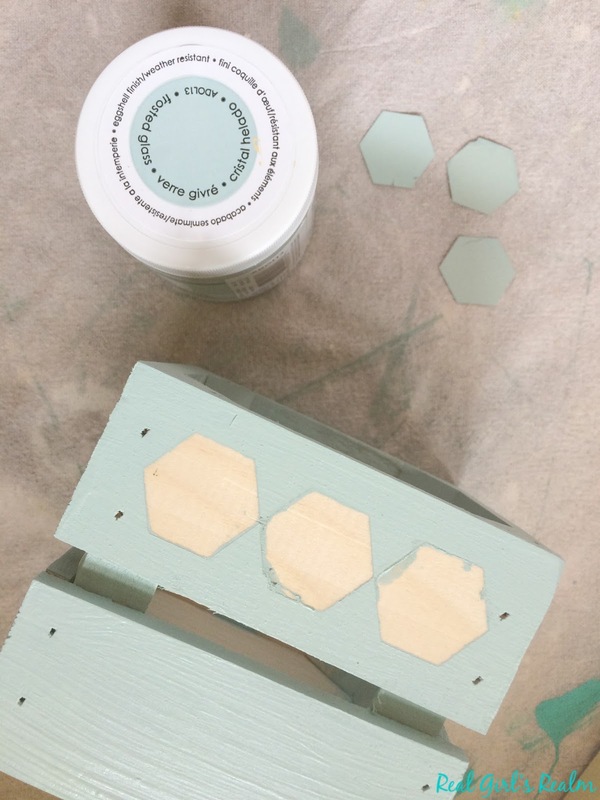 I used Frosted Glass by Art Deco, which is a lovely grayish, teal. Once the paint was mostly dry, I removed the vinyl stencils. You can see it seeped under a little and did not leave a clean edge on two of the shapes. I used my dremmel tool to sand the paint off, but managed to gouge the wood a little, but after using a sanding block, you can hardly tell! Even though it is not perfect, I wanted to show you the possibilities using the Cricut. 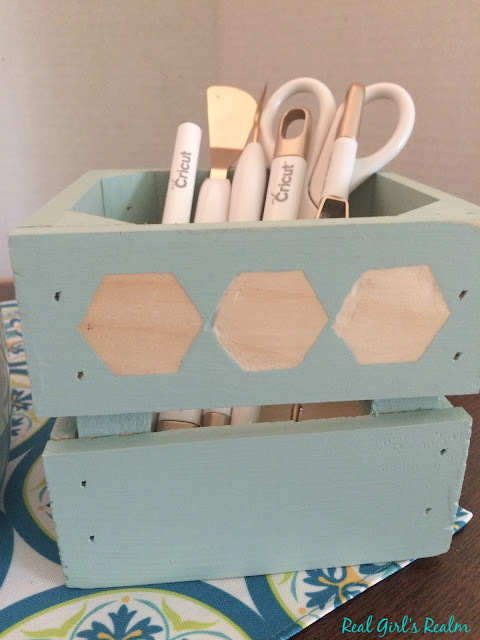 I now have a cute and customized crate to hold my Cricut tools. 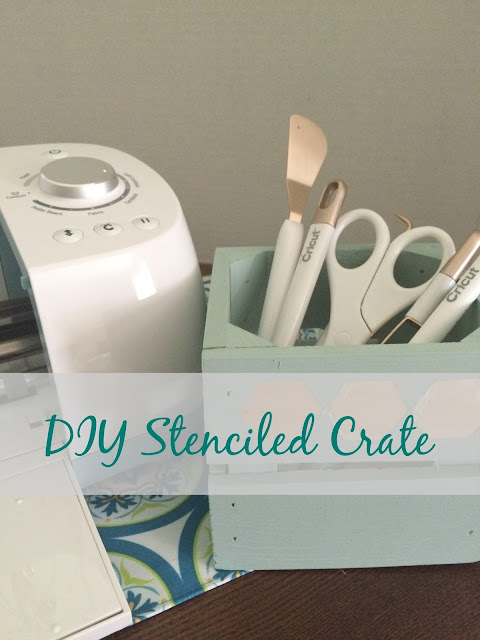 What projects have you made using Cricut stencils? This is too cute! I love the little crate - I could totally use one for all my paint brushes. I guess I just need to bite the bullet and get a Cricut! It is the perfect size for holding paint brushes! This turned out so cute! I need to do this to store my cutting machine tools. Genius idea! I was getting paint under my stencils, too, until I heard to paint a tiny bit of ModPodge around the stencil and let it dry before painting. Your crate looks great, and now I know what to do with mine! Thanks for a great idea! Oh thank you for the tip Robin! Also, someone told me to use a sponge tip brush instead of a regular one to control the amount of paint. Get fashion inspiration, DIY projects, Bible Journaling tips, and easy crafts in your Inbox along with my Exclusive Free Style Guide! Welcome to my Realm! I'm Mary! I am a wife and mom who loves social media, fashion, Bible Journaling, and DIY. 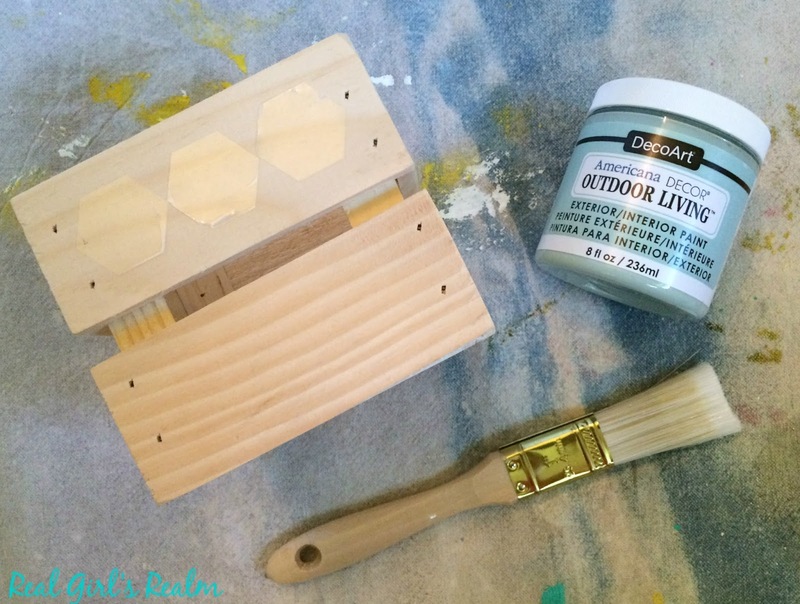 I love to share my easy crafts, mom-approved outfits, and crazy DIY adventures. Come along and join me as I blog about the randomness of my life! Read more about me here. Get fashion inspiration, DIY projects, fashion inspiration, and Cricut crafts in your Inbox every week! Visit Mary's profile on Pinterest. Styled by ALB Designs. Simple theme. Powered by Blogger.